Sierra Workforce Solutions is a leader in the time and attendance software, time clock hardware systems, and workforce management solution industry. 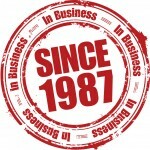 In business since 1987, celebrating over 30 years of successful integrations, we are passionate about providing a broad range of businesses greater control over workforce productivity and improved profitability. Our proprietary software integrates seamlessly with virtually all popular ERP accounting, payroll, and human resource management software regardless of operating system. For more about our support desk, click here.